What to do with that big box? Why not create some fun? 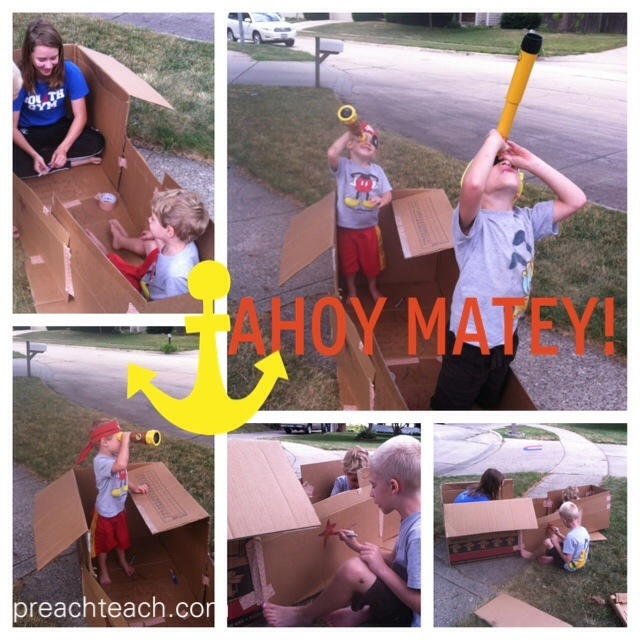 Thanks to the crafty hands of our neighbor, a lazy weekend morning was quickly turned into a high seas adventure! With a little duct tape (in this case rainbow patterned! 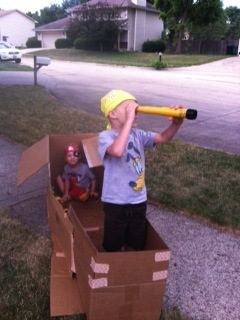 ), some colors, and some pirate gear, you can have your very own pirate ship. Resourceful, Creative, and Fun!! Oh, and super cute!! 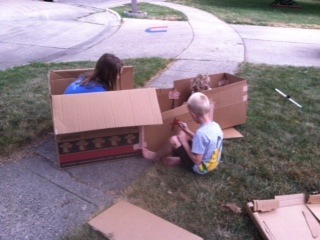 Try it and see what your kids come up with- a rocket ship, a race car, a secret hide-out. The fun is endless! Perfect idea for birthday parties, and lazy day fun!